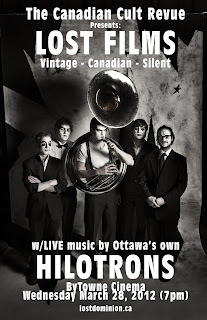 Collection of vintage & archival short films with brand new music performed and composed live by The Hilotrons. The Canadian Cult Revue presents its second live music screening of the season with a selection of historically significant ‘lost films’ (well, nearly lost...) from the collection of Library and Archives Canada (LAC). Most of the films are silent shorts from the 1920’s, and will be projected from brand new 35mm prints created at LAC’s film conservation facilities in Gatineau. To start off the evening, we’re showing a 1946 newsreel featuring many stories from the local area, including: a spectacular fire in Hull that destroyed the interprovincial bridge; the famous Dionne Quintuplets in Grade Five; Barbara Ann Scott at a skating championship; and, a spy ring uncovered by the RCMP. 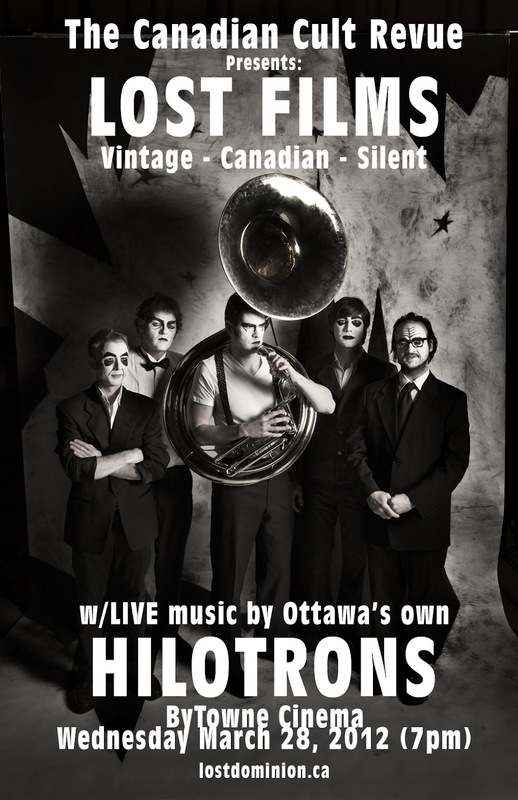 Then, local favourites the Hilotrons will play newly-composed soundtracks to our selection of silent short films with fascinating subjects such as: wireless telephony, preventing tooth decay, and graphite mining in Calabogie (seriously, they’re good!). We will also be playing a reel from The Man From Glengarry (1922), also accompanied by The Hilotrons. The film, a spectacular silent feature shot in Ottawa in the early 1920s by director Henry Macrae, concerns a blood feud between the leaders of rival logging camps along the Ottawa River. This reel is one of only two that remain in existence.